Friday afternoon 21 December… The Christmas holiday is nearing – time for fun with family and friends, as Van Heck closes its doors for a while. 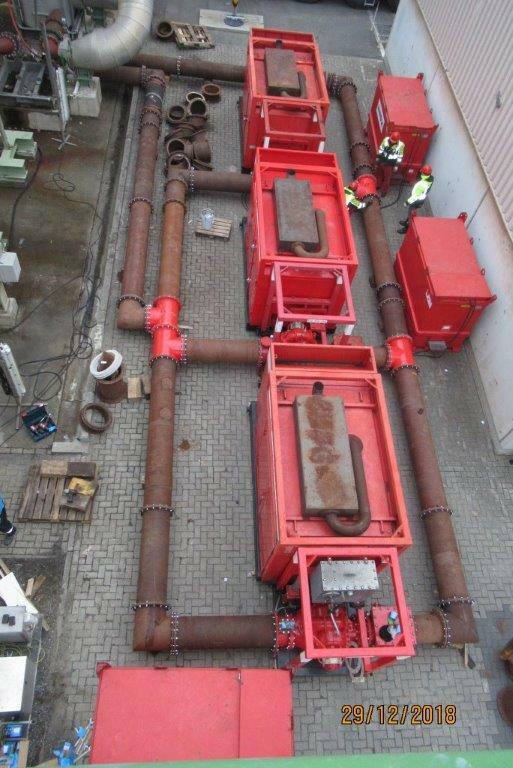 But then a phone call from Antwerp: a firm has problems with its cooling water pumps and needs Van Heck’s help. An emergency can’t be planned, and to prevent bigger problems, the work simply continues amid all the festivities. 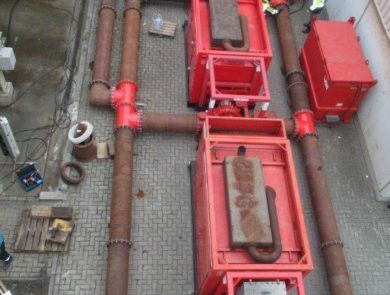 Our offer is agreed verbally on Boxing Day, and the next day Technical Manager Lucas Boelen is on hand in Antwerp to assess the requirements locally and to discuss the plan of approach with the customer. It soon turns out that the biggest challenge on-site is the space available. 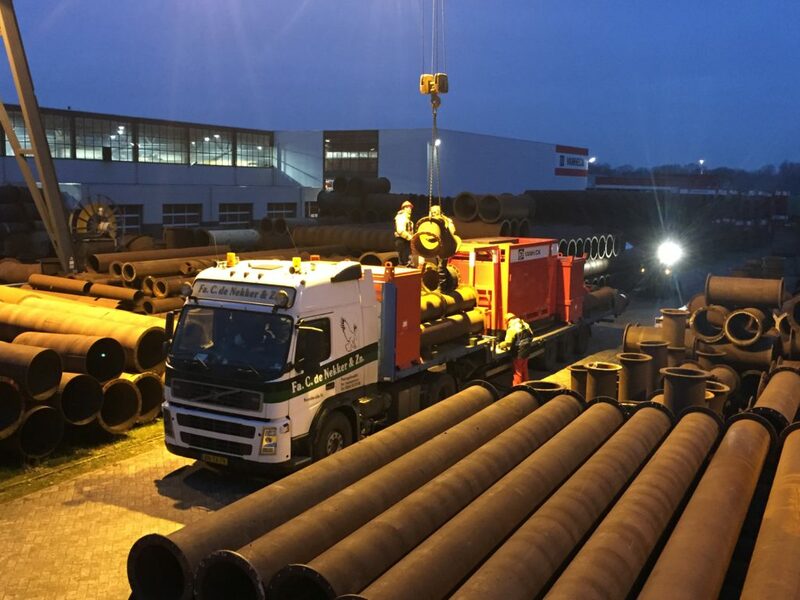 Meanwhile, the necessary equipment is being brought to an extreme state of readiness by our service technicians in Noordwolde, and at the end of the day three trucks can be loaded. Early in the morning of 28 December, the trucks with the Van Heck equipment will be unloaded on location in Antwerp by two of our service technicians who have also arrived. Constructing the installation can begin! 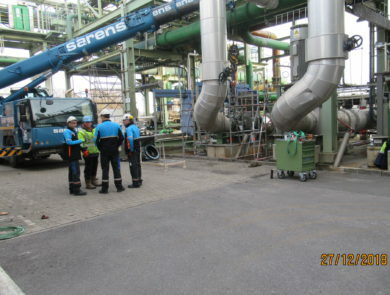 An emergency solution is created in one and a half days along with the Covestro employees; there’s no need to halt the work and more serious emergencies are prevented. 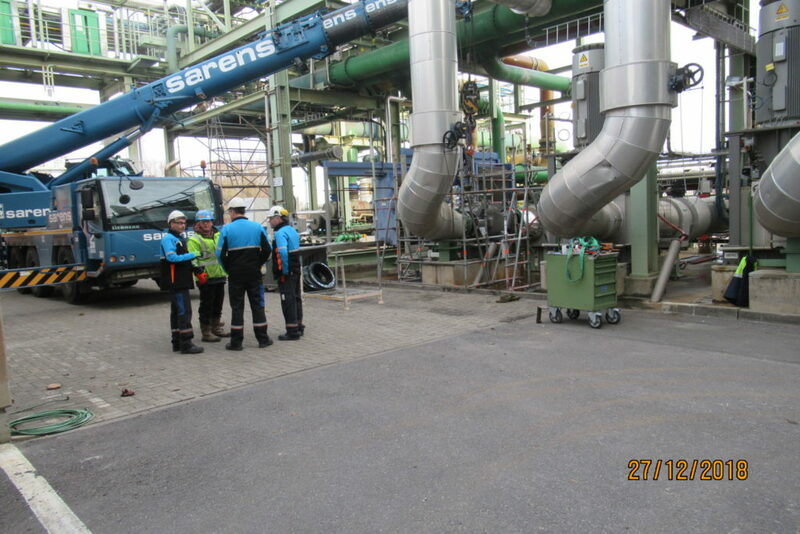 A fine example of teamwork that demanded a great deal of flexibility from our employees, ultimately ensuring a satisfied customer. And we’re proud to have been able to achieve this together!